TF Abrax - from studio templates ThemeForest, suitable for creating various sites, such as business card site, blog and more. 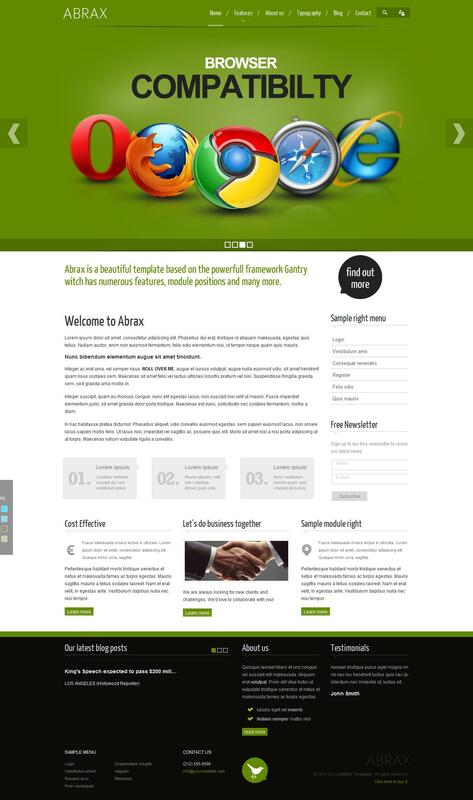 Great template for presentations TF Abrax products on the website. Template based on Gantry Framework, supports the conclusion on iHone and iPad, and also uses the power of the component K2.